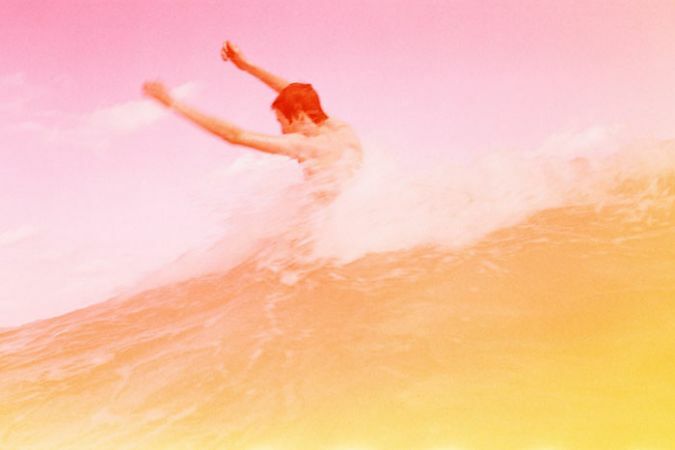 New Jersey born photographer Ryan Mcginley is one of America’s most important contemporary artists that draw his inspirations from the urban life within New York City. After finishing Parsons in the late 90s, Mcginley has continued to create large bodies of work that deal with identity within the individual. Having being involved heavily in the artistic community, he is also a part of the band The Virgins and in particular, has worked very closely with Sigur Ros. For the album Valtari, Sigur Ros gave a dozen filmmakers a small budget to create videos for the entire track base. Mcginley shot and directed a charming video for the song Varud that tracks a girl waltzing down the streets of New York with bright colourful hair. “I wanted to bring out the childhood innocence to the streets through a character whose own light and wonder effects the world around her,” said Mcginley. Everyone has their own light and their own colour. We adore this artist’s work on exploring the idea of focusing on an individuals shine and creating atmospheres where dreams and reality mingle on equal terms.